A common tradition in families around the world is to set goals, or resolutions, on New Year’s Eve. This is a great way to teach even preschool children about how to set a goal and work to achieve it. Goal setting is a difficult concept for children that needs to be scaled down to an appropriate level for a child to understand. Most children, even if they are of preschool age, can grasp the concept of setting a goal. Once they have set one goal, help them develop a plan to achieve it by focusing on one area that they can understand. One way to help kids set their own milestones is to tell them how you have your own goals for and with them. This can be made fun by drawing your goals or writing a story about your goals and why they are important to you. It is very important that we help children understand that goals are different than wishes and dreams. Goals are attainable changes that they can control. All family members that interact with the children can come together and make group goals. Group goals for families are a real bonding experience and will illustrate how a family can work to support each other to reach their goals. As a parent, be a living model for your children on what goal setting looks like. Help them see what milestones you want to achieve. Figure out a way to make both of your results measurable. Keep in mind that these goals will not always be the same goals that the parents may have for the child. It will help preschool children if the family shares their goals. Also encourage everyone to figure out ways to they will help each other reach their goals. This can be a great start to a new year for a family! 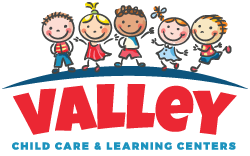 If your new year includes a change in childcare in the Phoenix area, please check out the locations page at Valley Learning Centers to find a child care facility nearest your Phoenix community! Click here to request information about the center that you are interested in!